It almost sounds a little freakish that a man would be turned off if a woman didn't use baby wipes to clean herself. Especially considering disposable towelettes weren't even invented until the late 1970's. With that in mind, we have to ask ourselves, were women walking around unclean before baby wipes hit the market? Even more, why would a man feel a woman is not clean if she chooses to clean herself the traditional way? Actor Terrance Howard said once in an interview with Elle magazine that when women don't use baby wipes it's a deal breaker for him. “If they're using dry paper, they aren't washing all of themselves. It's just unclean. So if I go in a woman's house and see the toilet paper there, I'll explain this. And if she doesn't make the adjustment to baby wipes, I'll know she's not completely clean,” he said. Now, the bigger question is, how serious can we take a man who prefers a woman that “looks like him,” and feels the most beautiful thing in nature is “your own reflection.” He sounds a little too self-centered to judge others. Would you agree? Another celebrity who believes women are not clean without the use of baby wipes is Will.i.am. Ironically both men were interviewed by Elle magazine. And while on the subject of things that turned Will.i.am off about a woman, he mentioned wet sinks. Wet sinks, you say? “Yeah, like a wet sink. You don’t wipe the sink after you use it? Dry it off! And if she’s got only dry toilet paper and no baby wipes next to the toilet. You ain’t got no baby wipes? Well, considering Will.i.am's futuristic sense of style, one would think he could see the only way to clean the cracks is by actually going inside them, and unlike chocolate sh*t don't stick. 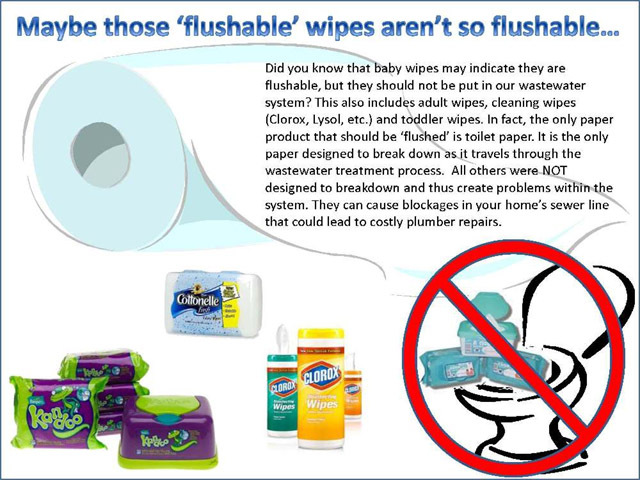 It really doesn't matter if you use baby wipes or toilet paper, just as long as you use enough to get it all up. I don't know, maybe there's others out there that feel baby wipes are mandatory after using the bathroom. If so, please feel free to give a better reason why.